Juice addiction. 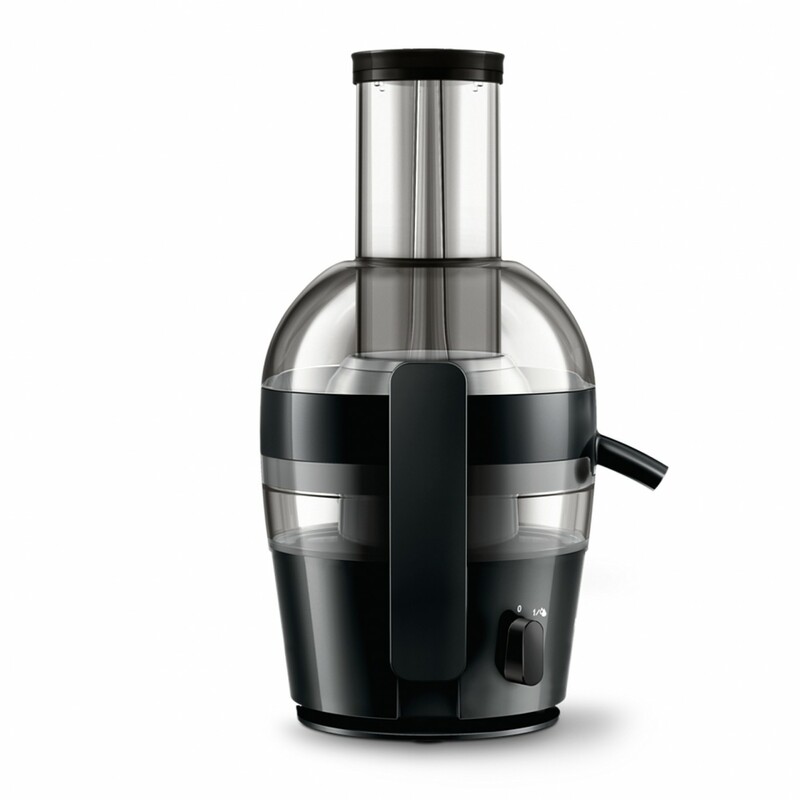 A juicer has been on my kitchen item wish list for such a long time. 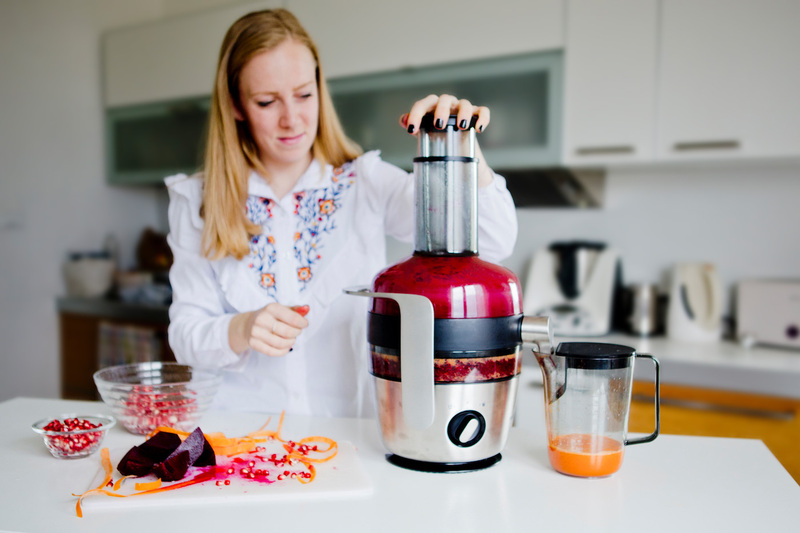 I’d already been looking up various juicer models. 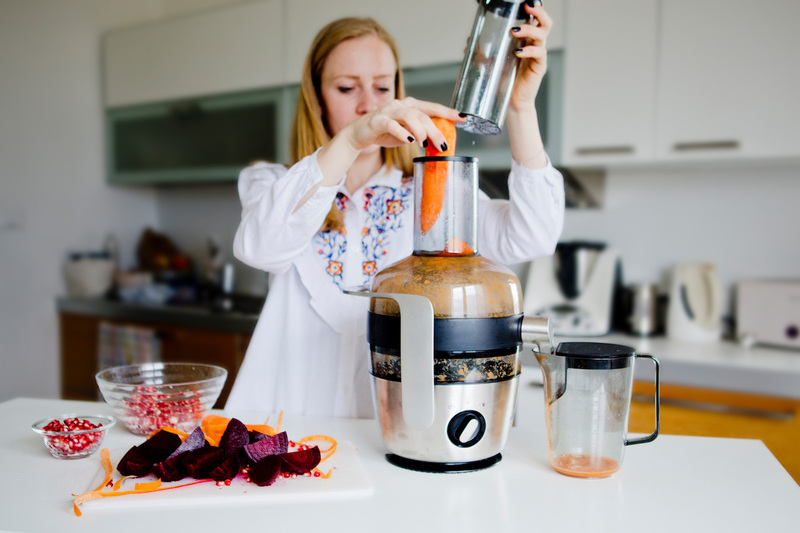 Last year I got myself a new blender, this year it was about time to finally get a juicer. One investment after the other! 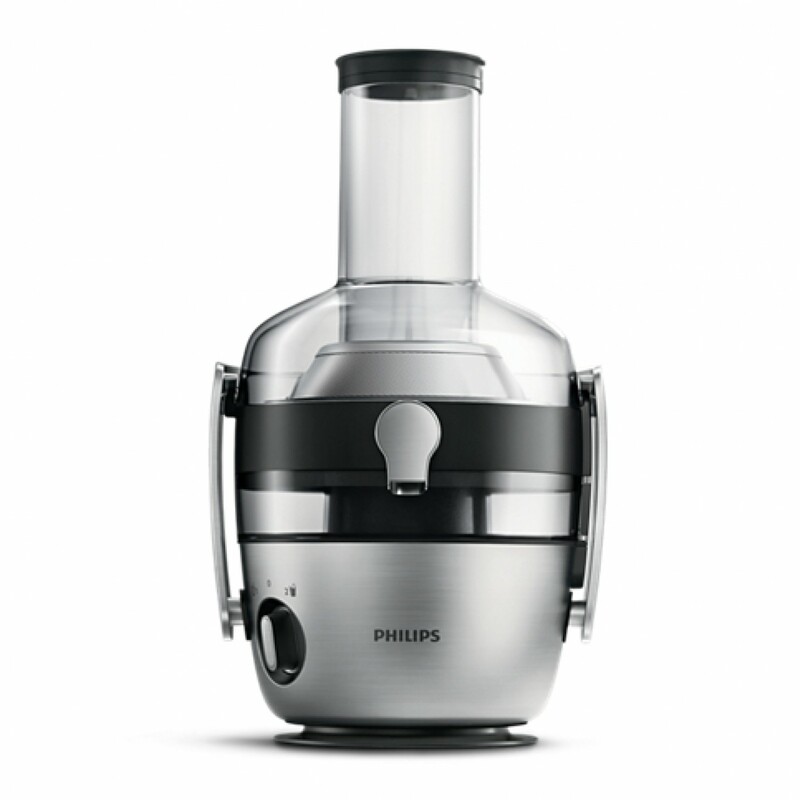 Philips is one of the brands I trust the most – clean design, effectiveness and a good value for money. For example, my Philips toaster is over 10 years old now and still works perfectly. 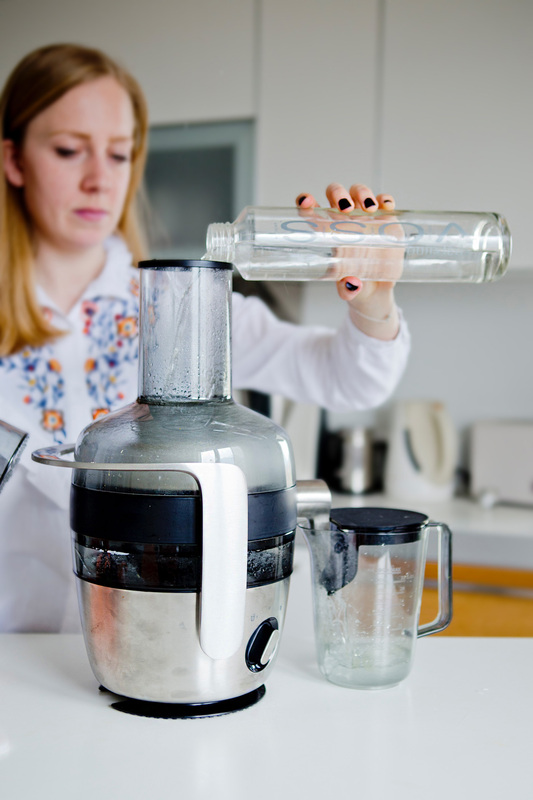 When it comes to kitchen machines, the brand offers cheaper models, which are perfect for small households, but also premium ones. 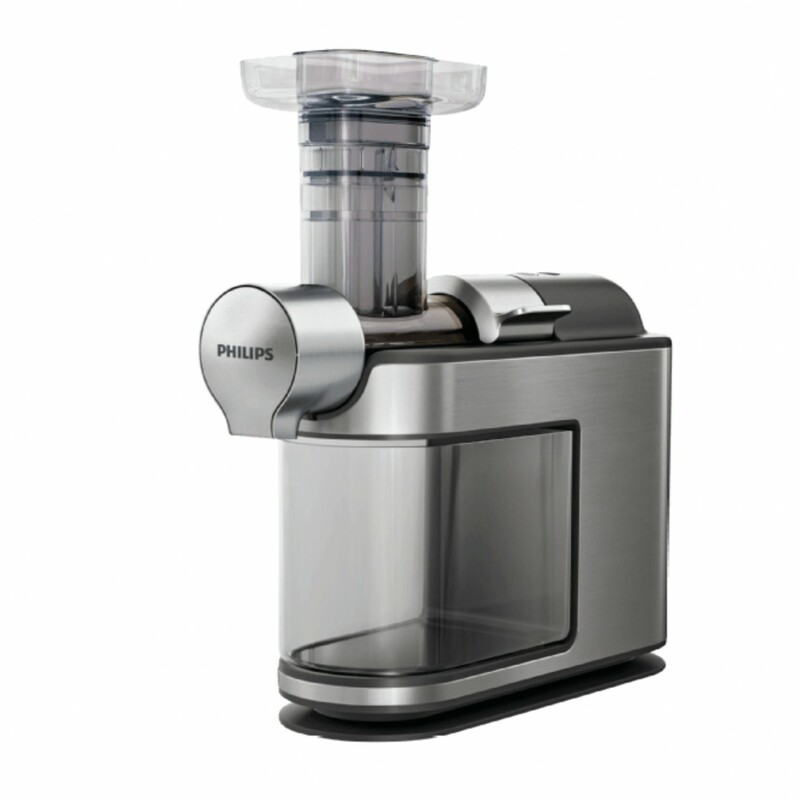 In fact, I still dally over the Slow Juicer from Philips (too expensive for me right now). Usually, I tend to invest in a premium machine, which will last longer and has more power. 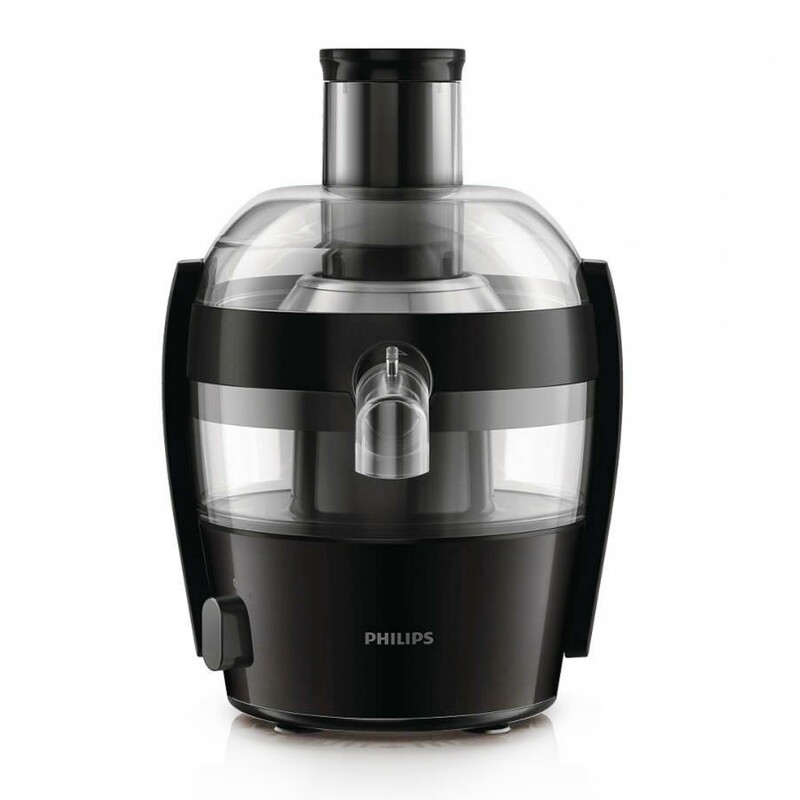 Therefore, my new Philips juicer HR1921/20 is a great compromise of a standard and premium model – medium size, steel and most importantly easy to clean. 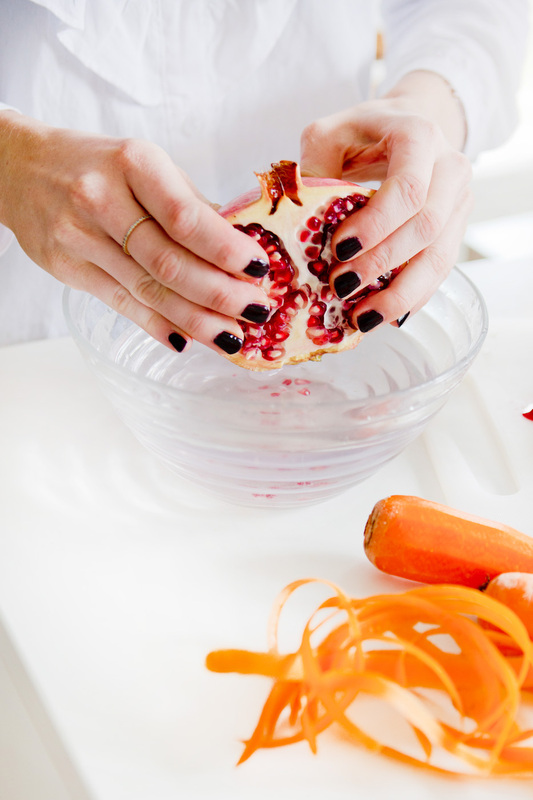 The only disadvantage is the diameter of the filling funnel and you need to cut some vegetables a little smaller. However, the power wins over. 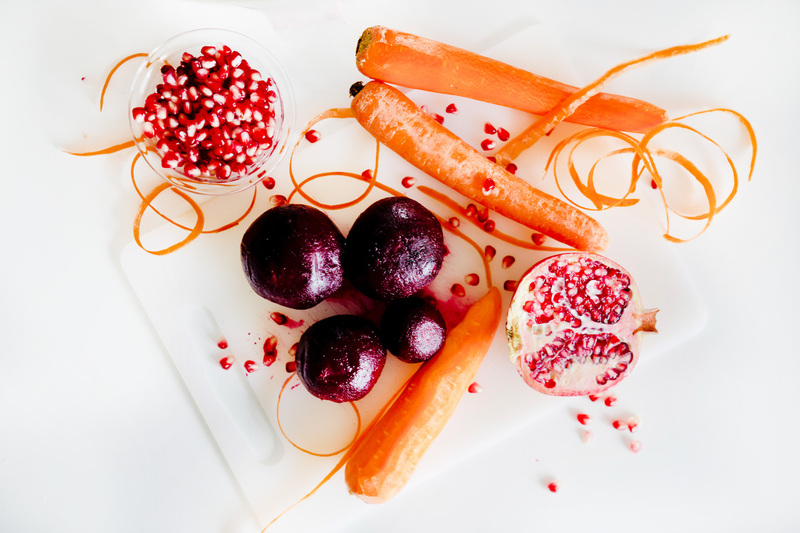 It is said that you should use 2/3 of vegetables and 1/3 of fruit in your juices. 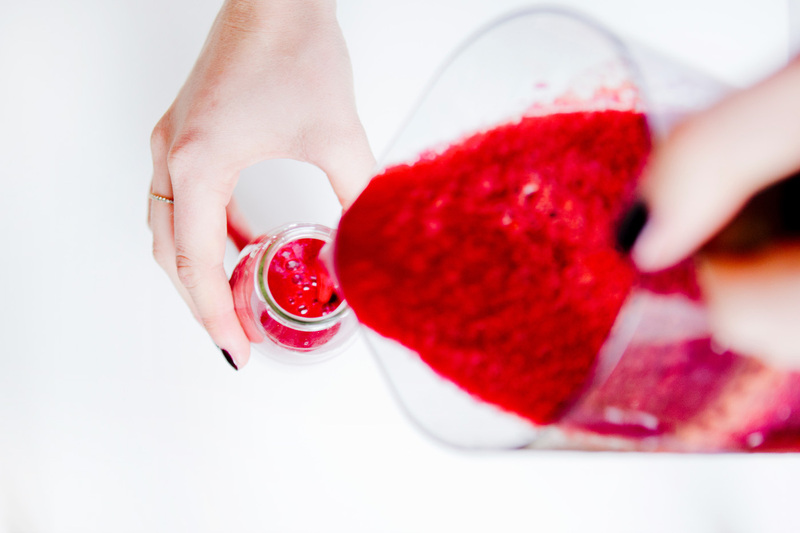 However, before starting with my green juice recipes I tried a red juice first. 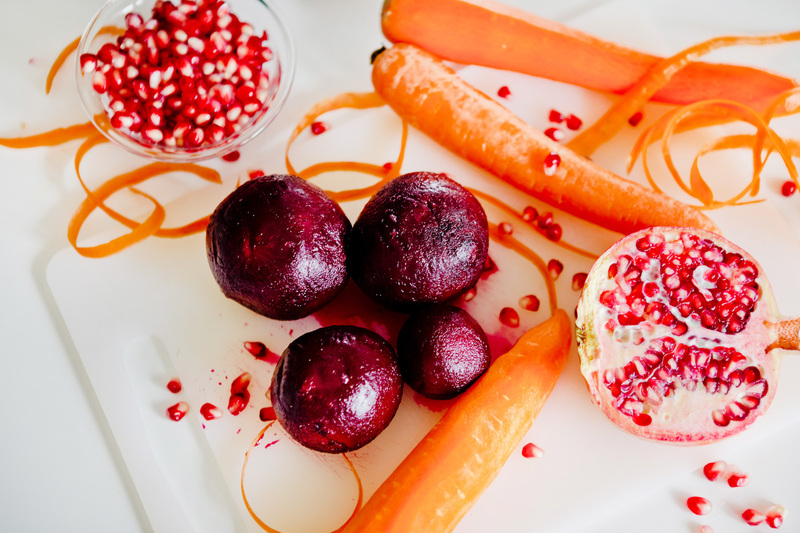 The combination of pomegranate, beetroots and carrots is great for your sight. Therefore, the perfect drink for us computer people. 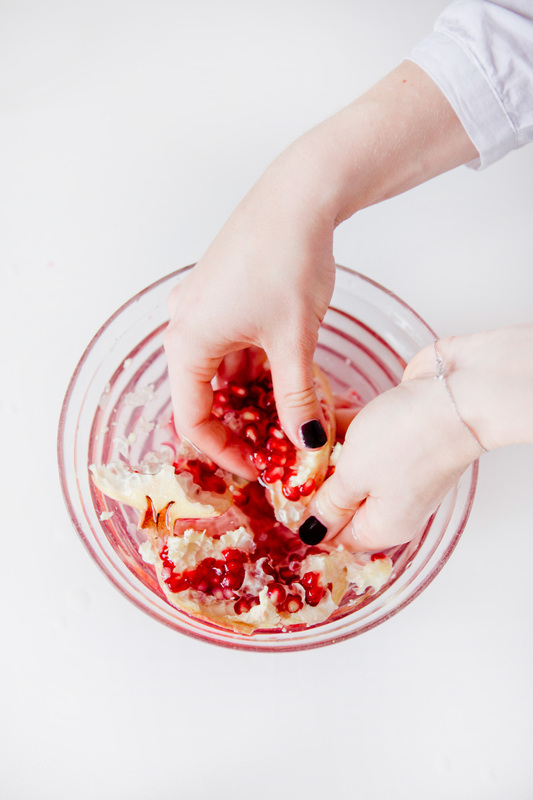 jaa die Phase hatte ich diesen Sommer auch und ich bin fast durchgedreht ohne Standmixer. Darauf könnte ich wirklich nicht verzichten. Ein Entsafter ist wirklich gold wert! ja mach das unbedingt. Aber es gibt auch kleinere Modelle – das Platzproblem kannte ich in meiner alten Küche auch. In einen Schrank will man das Teil auch nicht stellen, denn dann benutzt man ihn irgendwann gar nicht mehr. Das Gute aber ist, dass man 1x eine große Ladung machen könnte und dann einfrieren, sodass man ihn nicht ständig wieder reinigen muss.